Starring in a romantic drama film, based on Nicholas Spark’s 1996 novel of the same name, Ryan Gosling was named as one of the 50 Hottest Bachelors by People Magazine. The Notebook offers more than a traditional boy-meets-girl story, exploring an innocent summer love between a poor, farmer boy (Gosling) and a rich, educated girl (Rachel McAdams). With imperfect characters that are relatable if not lovable, this slow and sweet romance gradually gained popularity and even a cult following. The movie received mixed reviews from critics but is still the 15th highest-grossing romantic drama film of all time. Winning eight Teen Choice Awards, a Satellite Award and an MTV Movie Award, “The Notebook” served as a stepping stone to Gosling’s triumph as an actor. 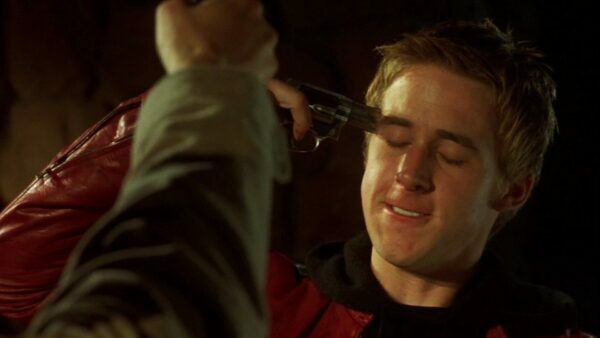 One of his earlier movies, “The Slaughter Rule” is an independent sports-drama film featuring Ryan Gosling as a high school kid trying to figure out his life. Kicked out of his small-town football team soon after his distant father’s demise, Gosling’s character struggles to rediscover himself when he is recruited by David Morse’s character to quarterback a six-man team. Bleak and queer-themed, the movie highlights the importance of compassion while exploring the relationship between a football player and his coach. Though not a box office hit and receiving mixed reviews, Gosling and Morse’s performances in the movie were critically acclaimed. Starring alongside Anthony Hopkins in this legal drama film, Ryan Gosling received a Teen Choice Award nomination for Best Thriller Actor for his role as a high-achieving District Attorney. With only a few weeks left at his job and a bright (read: rich) future ahead, Gosling’s character is given a seemingly open-and-shut case of murder. An intricate yet gruesome game of intelligence and wit follows, as Hopkin’s character plots to walk free after shooting his unfaithful wife in the head. Both the lead actors were reviewed great for their performances, and the movie was a box office hit, grossing over $91 million worldwide. With an engaging story and a fresh appeal, this courtroom thriller assisted Gosling’s climb on the career ladder to success. “Crazy, Stupid, Love” is a wildly-entertaining romantic-comedy, which follows the struggles of a middle-aged man in love (Steve Carell), whose high school sweetheart divorces him after 15 years of marriage. Hopeless and lost, he is taken under the wing of a ladies’ man, played by Ryan Gosling, who teaches him the ways of 21st-century romances (read: flings). The movie focuses on the transition in the idea of love of the two characters and is a rich mixture of family drama, romantic cliché and sweet parenting moments. With a strong cast and overall good ratings, the movie performed well at the box office. Gosling was nominated for the Golden Globe and Teen Choice Award for Best Actor in a Comedy, while Emma Stone won the Teen Choice and People’s Choice Award for her role as his lead. A political drama film, “The Ides of March”, features Ryan Gosling as an idealistic campaign manager for a new presidential candidate played by George Clooney. An offer from a competitor and an intimate encounter with an intern, the story focuses on the dark, paranoid aspects of the run for the president’s office. Written and directed by Clooney, the movie is an adaptation of Beau Willimon’s 2008 play, “Farragut North”. A cynical tale highlighting the intricacies of political race, the movie received mixed reviews but was greatly praised for its plot and pace. 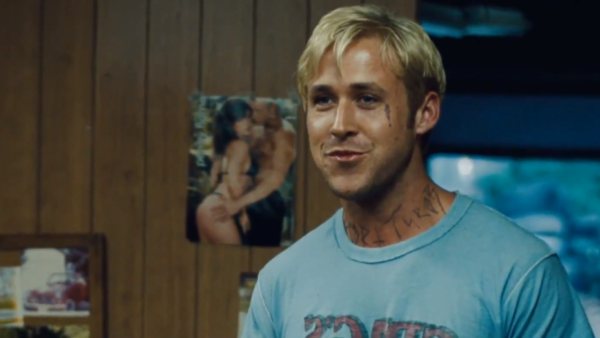 The film was nominated for several awards, with Gosling being nominated for the Golden Globe Award for Best Actor. Starring alongside his current partner Eva Mendes, Ryan Gosling plays the role of a motor rider who recently discovered that he has a son. Struggling to provide for his family, the character utilizes his skill set to rob banks. One such gig costs him when a rookie officer (played by Bradley Cooper) shows up. A story of family, fatherhood, and remorse, the movie is dramatic and slow in pace. Making $47 million worldwide, the film received overall positive reviews, with Gosling’s performance making him a major highlight of the movie. Playing the role of a socially inept man and breathing life into the movie, Ryan Gosling received nominations for the Golden Globe Award for Best Actor and the Screen Actors Guild Award for Outstanding Performance by a Male Lead. 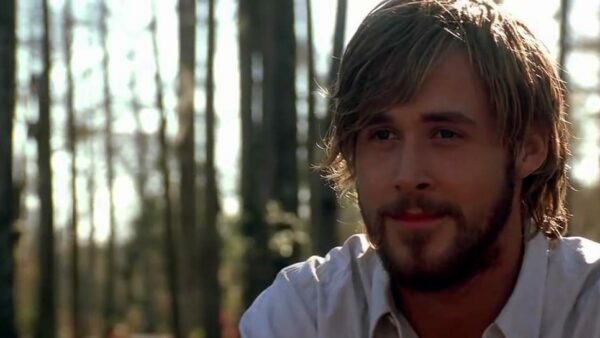 The tender story revolves around sweet-natured Lars (Gosling) as he falls into a delusion and consequently, in love with a life-sized plastic woman. Throughout the course of the movie, we witness how the character manages to overcome his shortcomings, fears, and loneliness with the help of his relationship with that doll. Though a box office failure, the movie was critically acclaimed for its depiction of innocence and received an Academy Award nomination for Best Original Screenplay. Starring in a painful story of a lost soul, Ryan Gosling attracted critical attention for the very first time in his movie career. 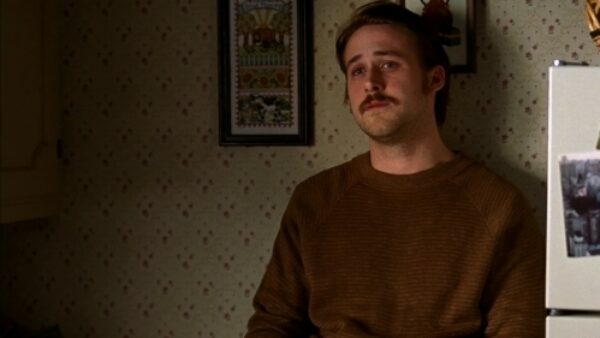 Playing the role of a Jewish-born scholar, questioning the tenants of his faith, Gosling delivers a remarkable performance as a racist and neo-Nazi. The film is loosely based on the life story of Dan Burros, a member of the American Nazi Party who committed suicide after being revealed as Jewish by a New York Times reporter. Despite revolving around a sensitive topic, the movie received overall positive reviews. 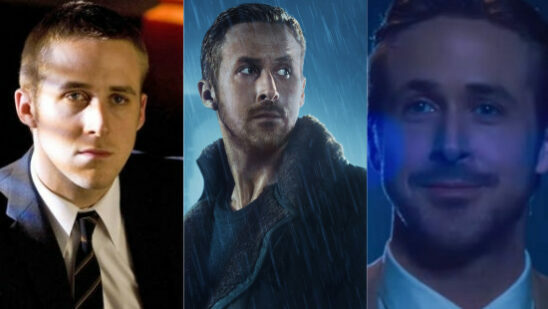 Gosling was nominated for the Independent Spirit Award for Best Male Lead but did not win one until later in his career.